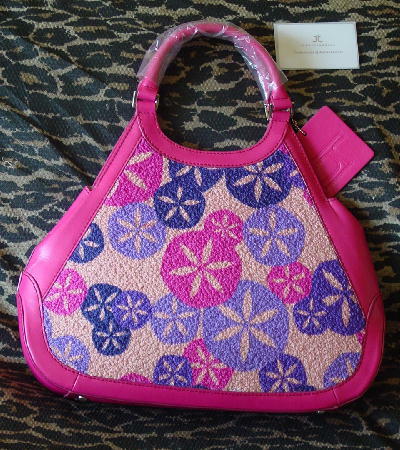 This never-used authentic "California Dreaming" hot pink leather and nylon carpetbag has hippie-inspired "flower power" and is by Jerry Terrence. It has two padded 11" handles, a magnetic snap closure, and a textured horizontal lining in white and light cocoa. 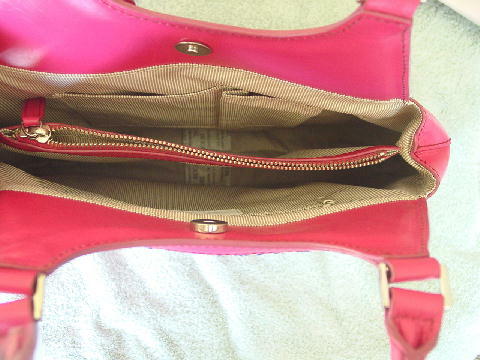 In the interior, one side has 2 open pockets, a zippered center section, and the other side has a zippered pocket. The handle attachments and the bottom feet are in silver-tone metal. 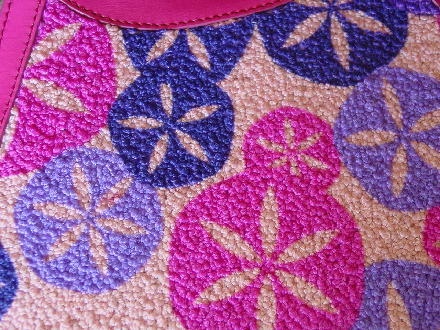 The lavender circle on the left back side has some hot pink dye transfer on one of the petals. 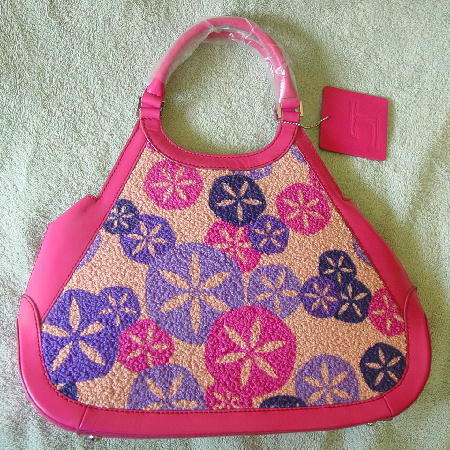 The plastic covering is still on the handles, and it has the certificate of authenticity card - # 000158. The siteowner's husband received it last year for volunteering at the J.P. Morgan Chase Open tennis tournament.